This entry was posted in photography, Uncategorized by lucidwritingandvisuals. Bookmark the permalink. This is nice, Lucy. An eerie composition with the skeleton off to the right. 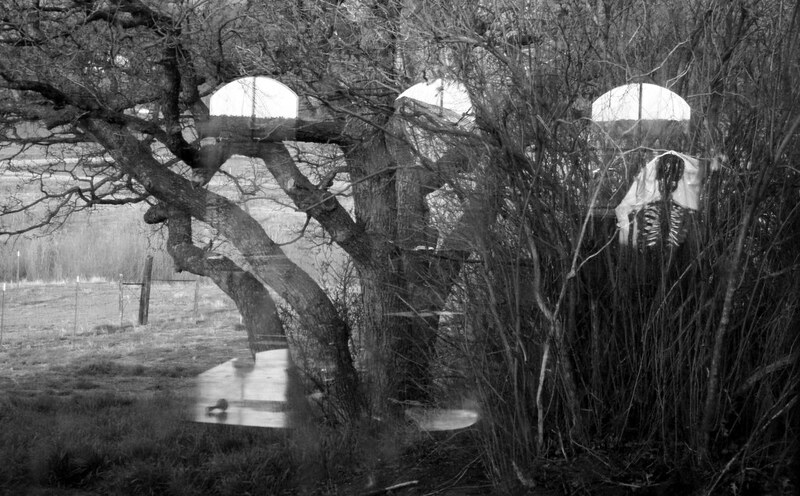 It looks like a double exposure and I almost expect to see the photographer’s face staring at me from among the trees.